Although my posts are reviews on recently read books, I wish to share some sad news. 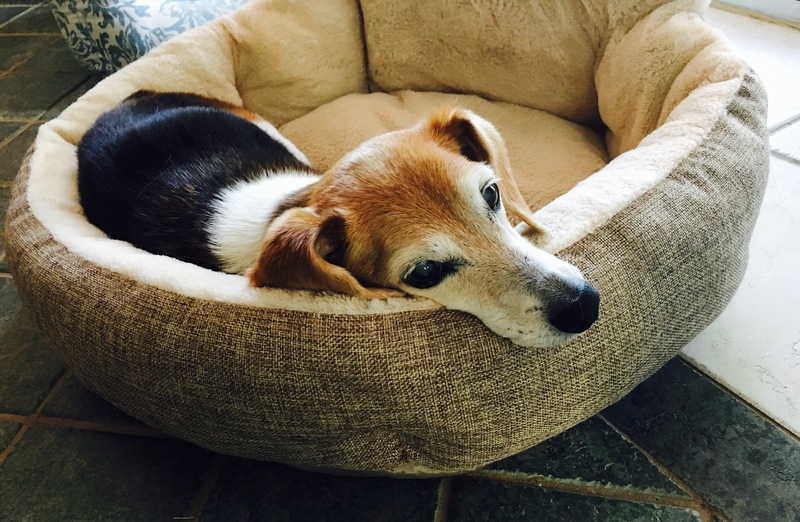 It is with heavy hearts that my husband, Etta, and I had to say goodbye to our sweet Annie yesterday. 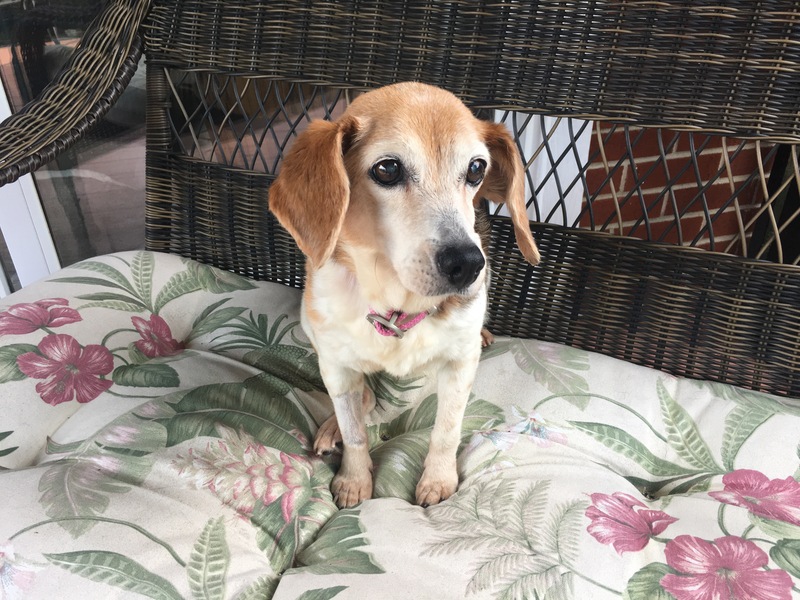 When we adopted Annie in early June, we knew she had health issues due mostly to her 13 years of age. What we didn’t know is that Annie had a mass on her spleen, kidneys, and liver. After this discovery in July, Annie did not have a lot of time. But she was not in pain and our goal was her comfort. Annie’s diagnosis did not prevent us from taking our vacation to western North Carolina in early August. 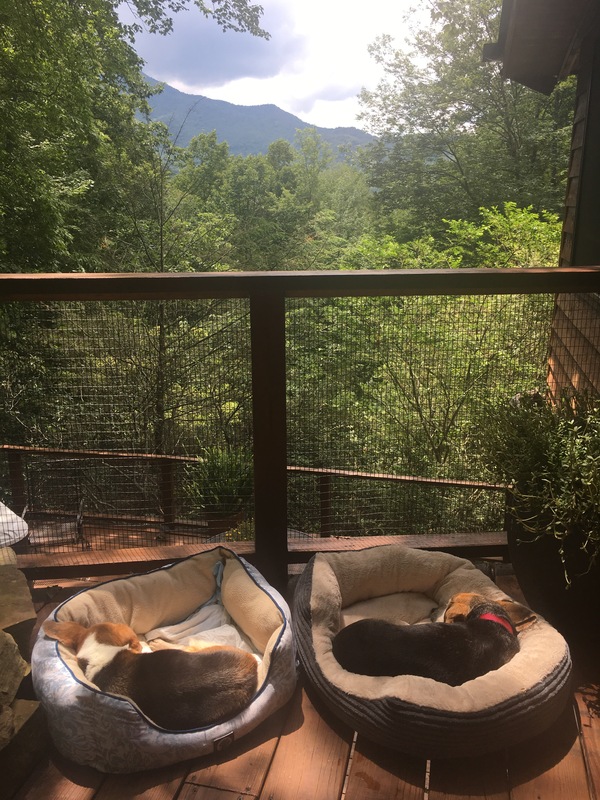 Annie and Etta enjoyed rest and relaxation in the Pisgah National Forest and even visited Oskar Blues Brewery in Brevard. 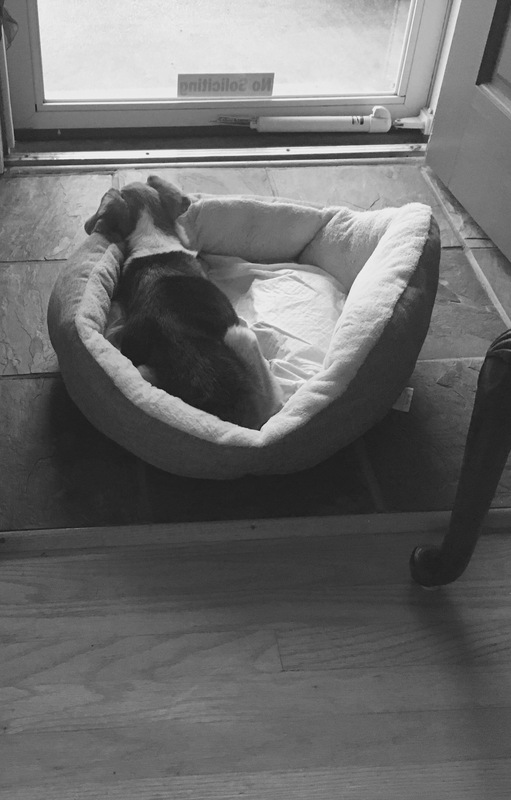 When we returned, Annie’s eating became erratic which made her weak. She slept most of the day but truly enjoyed her view looking out of our front door. Being a teacher still on summer vacation, I was able to be home and give her the care she needed. This past weekend Annie stopped eating and by Sunday night even refused water. She could not stand up on her own. She was telling us it was time. 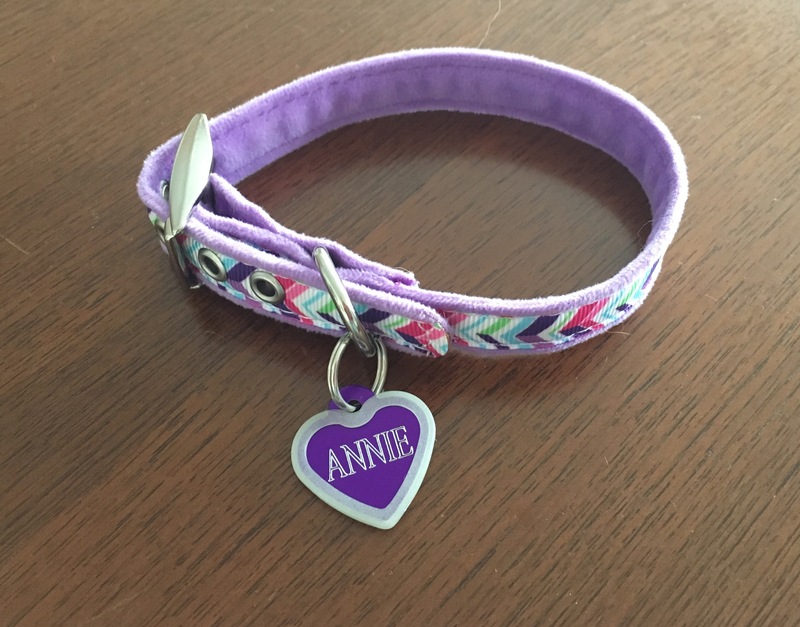 Although Annie was only in our lives for a short time, she taught us to slow down and truly appreciate the simple things in life- a home cooked meal, a warm bed, a caring home, and most importantly spending time with the ones you love. Thank you Annie. You will always be a part of our family. Laura, I am so sorry to hear this news. I know you will miss her terribly but what a blessing it was to have her in your lives and for her to have you! I know it’s not easy. Praying for you and your family. Thank you Christina. Your kindness is greatly appreciated, I am just glad I had the summer to spend time with Annie. What sweet words and even a sweeter lesson, Laura, cugina mia. No coincidences the experiences placed in our lives.